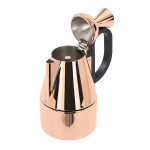 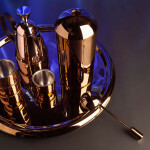 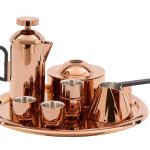 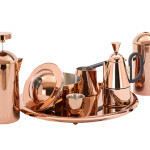 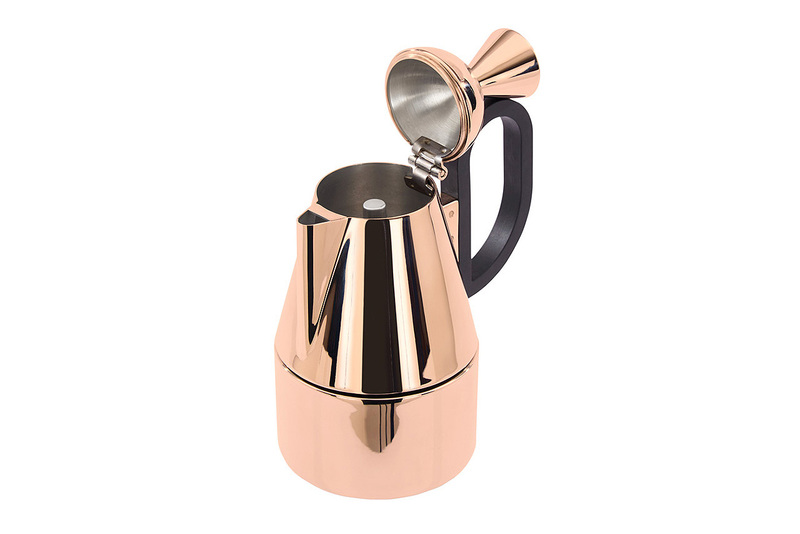 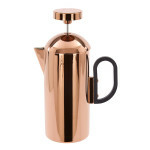 The elegant design includes a French press, space-saving stackable espresso cups, a milk pan, a stovetop brewer, a caddy, a scoop and even a cookie tin for pairing the beverage with a sweet treat. 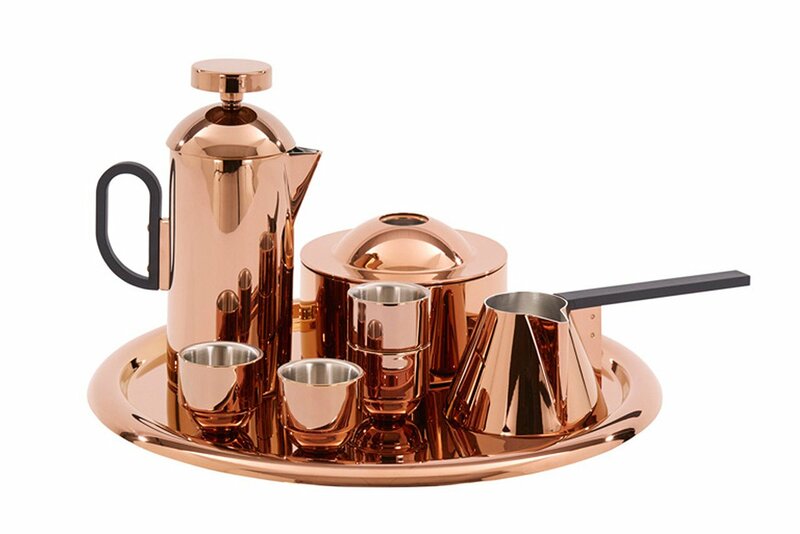 All items fit nicely in a round serving tray—copper, of course. 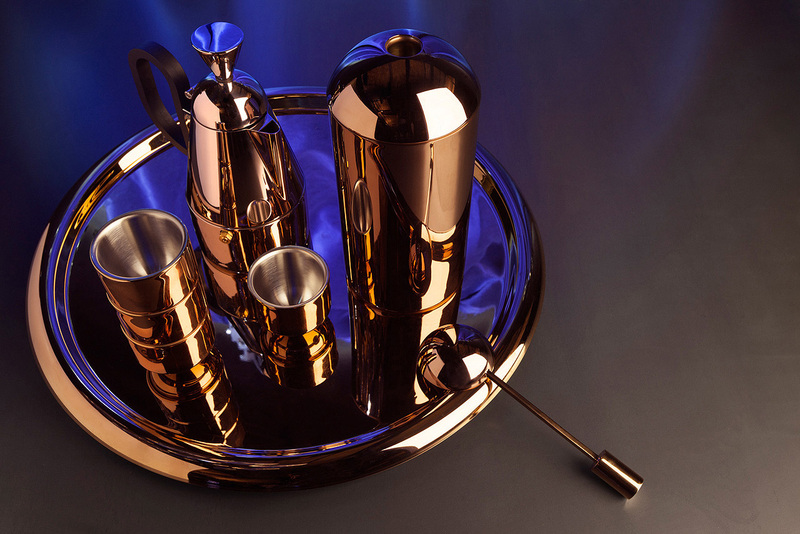 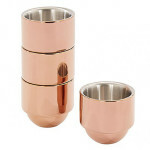 Designed to improve every step in the art of making a fresh cup of Joe at home, the opulent set enhances one of life’s simplest pleasures through materiality, function, form, as well as reflection. 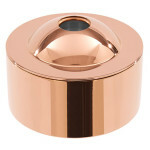 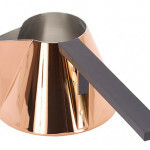 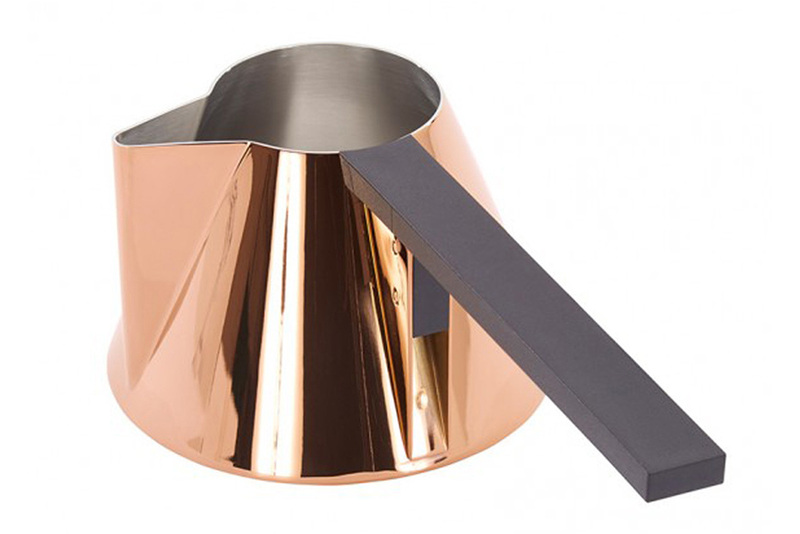 See more of Tom Dixon’s high-quality designs here.